Being the best you can be at golf requires learning the game from experienced professional instructors... and I have the great pleasure to work closely with some of the most outstanding, nationally acclaimed PGA and LPGA golf instructors in the world today. 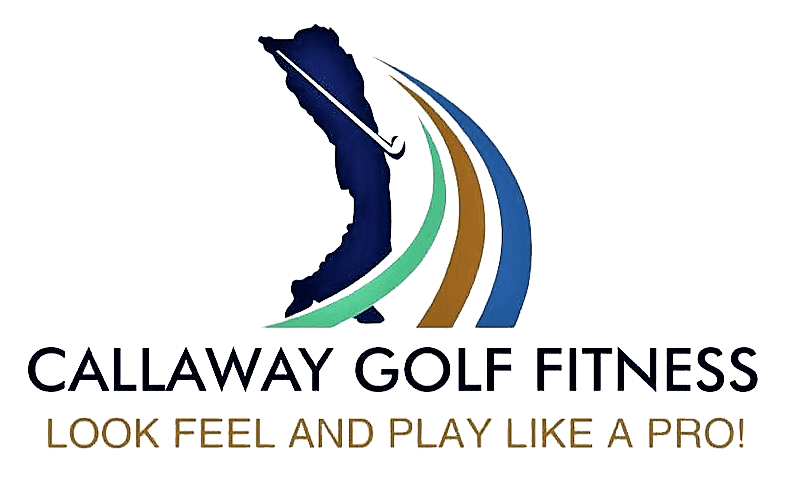 I encourage you to learn more about my top 'team' of expert teachers listed on this page so you can benefit from of a coach that will properly integrate your custom golf fitness training program with highly effective, professional golf instruction. Connie DeMattia has earned the recognition as one of Chicago’s elite golf instructors, competitive players and PGA golf professionals. For over 20 years, DeMattia has been helping golfers from high handicappers to Tour Professionals build lasting value from his knowledge and experience on the fundamentals of swinging and scoring. His immersion in competition (PGA Tour, Nike Tour and 2005 Illinois PGA Player of the Year) has shaped his thinking about what is important in helping his students play the game better and appreciate the game more. He enjoys helping students of all ages and skill levels, and is available for private lessons, group lessons and playing lessons. David has been a Class A PGA member since 1995. Most recently, David was the Director of Golf Operations at Cog Hill Golf and Country Club, serving Cog Hill in various merchandising, tournament operations and corporate event planning capacities. Prior to that, he owned his own golf facility, Piper Glen Golf Club in Springfield, and also served as the Head Golf Professional at St. Charles CC. Joe Thiel has spent 40 years helping others learn and enjoy the game of golf. He is one of only a few golf professionals in the U.S. who has earned the prestigious PGA Master Professional designation. The local PGA region has honored him as the PGA Teacher of the Year three times - in 1993, 1995, and 1997. He was also inducted into the Mercer County Hall of Fame in 1999, and into the 'Millennium Who's Who in America.' Golf Magazine has also honored Joe with the title of Top 100 Teachers in America for many years and Golf Driving Range Magazine has also honored him as one of the top 50 Teachers in America. Greg is recognized as one of the country's top coaches. His ability to connect with his students is a key strength in his coaching, along with his ability to instruct every part of the game. Each athlete has a personalized training program to accelerate your development to achieve optimal performance on the course. Greg specializes in junior athletic development, high school and college athletes, and adult programs. Greg is one of Golf Digest Best Young Teachers and Best in State. Tina is involved in the Women’s Golf Schools and available for group, private adult and junior lessons. She serves her thirteenth year as the LPGA, USGA Girls’ Golf Site Director. Prior to a career in teaching and coaching, Tina played on the Future’s Tour. Her teaching includes experience at the collegiate level including the University of Wisconsin and University of Colorado. She was an Assistant Women’s Golf Coach at both the University of Wisconsin and Northwestern. Tina began her teaching career in 1991 at Wynstone Golf Club and then Conway Farms. Tina received her master’s degree in kinesiology and sport psychology from the University of Colorado in Boulder, Colorado. Jason Hyatt has a passion for teaching the game of golf, whether it is with beginners or those who are more experienced and are looking for better fundamentals. Jason tailors his lessons around the needs of each individual and likes to provide the proper instruction where they can succeed on their own, whether playing or practicing. Each individual is unique and learns in a different manner and the key to improvement is based on properly fit equipment, the correct setup (grip, stance, aim, posture, etc.) and course management. Taking a lesson from Jason can give you an opportunity to make it easier and more fun to play the game of golf, whether it is in the corporate setting, in competitions or just for fun. Jason is available for private lessons, group lessons, and playing lessons. Gay believes her greatest asset to the student is her ability to help each player identify their goals, support the player to achieve these goals, and provide the necessary knowledge for the player to become their own best coach. Gay’s style of instruction works for all skill levels: establishing sound fundamentals, a focus on adding mental coaching and strategy to technical instruction, and the ability to take that next step in game improvement. Pat joined the Cantigny Golf Academy in 2010 as a club fitting specialist and Apprentice Candidate in the PGA of America Professional Golf Management Program. During his tenure at Cantigny he has held multiple positions, allowing him the unique opportunity to incorporate many of his PGA/PGM learnings into his club fitting, player development program and junior/adult golf clinic assignments. In 2015, Pat achieved a life-long dream of becoming a PGA Teaching Professional as well as a PGA Certified Professional in Teaching & Coaching in 2016. Emily Burns specializes in transferring her knowledge and love of the game to others. She has a talent for making students feel relaxed and comfortable while learning the structure of setup and the important basic motions of swinging. Enjoyment and fun are integral part of learning from Emily. One of my greatest joys lies in the teaching aspect of the game of golf; I have been teaching golf since 1981 and have had the pleasure of working with students of all ages: local high school players (both boys and girls teams), college-age players that range from Junior College through Division 1 schools, adults, young adults and children. My students have played on Mini-Tour events, the Hooters Tour and the Canadian Tour, to mention a few.